Hi, it's Gini again. 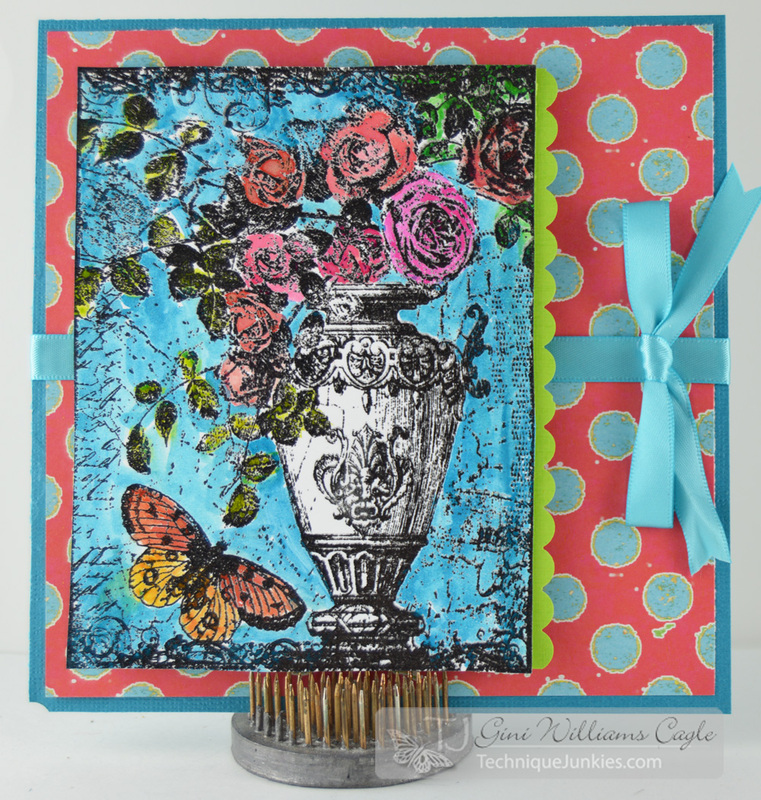 I had so much fun coloring this Rose Urn Collage image. 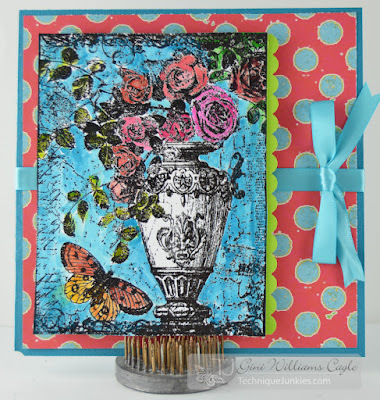 I stamped and heat embossed the image and then painted in colors using Twinkling H2O's. I left the urn itself unpainted to keep the sketch qualities of the stamp in the forefront.